A few weeks ago it was announced that President Obama was taking major new step with his Administration is taking to make mortgages more affordable and accessible for creditworthy families. The Federal Housing Administration (FHA) has reduced the annual mortgage insurance premiums by 0.5 percentage point from 1.35 percent to 0.85 percent. For the typical first-time homebuyer, this reduction will translate into a $900 reduction in their annual mortgage payment. You may be wondering, “What is mortgage insurance and why do I have to pay for it?” Conventional mortgages have private mortgage insurance (PMI) and FHA loans have what’s called mortgage insurance premium (MIP). All borrowers must pay a MIP to insure the lender against loss if the homeowner stops paying on the mortgage. While there are ways to avoid PMI with conventional loans (having 20% down usually does the trick), there is no way to avoid MIP on FHA loans because the down payment is only 3.5 percent. 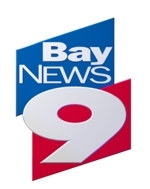 However, there is something about MIP you may not know… and I went on Bay News 9 recently to talk about why a 95 or 97% conventional loan may in some instances be more advantageous for families than an FHA loan, even though PMI is required. Click here to watch the piece on Bay News 9.